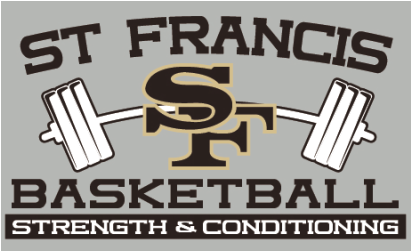 St. Francis endures a strenuous and difficult off-season training program to get players not only ready for the upcoming season, but prepare them for what they will be doing when they attend college to play basketball. Too many players enter college basketball not ready, due to the fact they don't understand nutrition, proper lifting techniques as well as what it endures to be a high level basketball athlete. 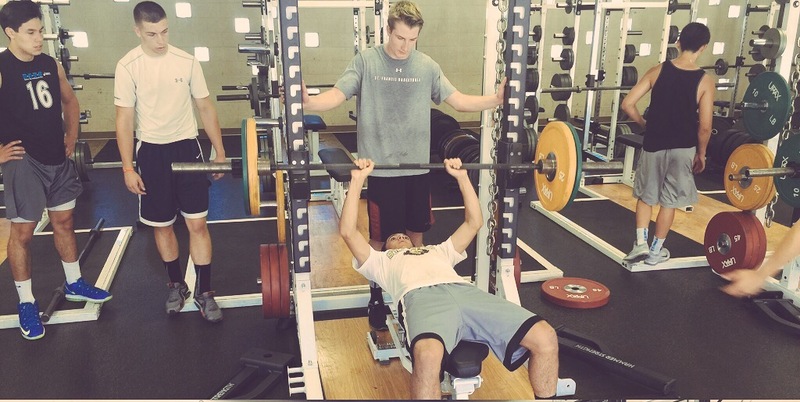 All St. Francis Basketball players will learn proper technique for all necessary lifts to ensure proper safety as well as to achieve maximum results. The weight room activity is a designed program that is basketball specific and includes high intensity/high repetition training. This ensures the basketball players are learning correct form and will achieve maximum results enchasing their physique and improving their confidence during games. As well as the weight room activity, players will experience a jump training course that will improve height of jumps, speed of second jumps and explosiveness on the court. These jump training will include various box jump programs as well as a Vertimax machine program. Combining explosiveness drills focusing upon quick twitch muscle groups, we utilize each players maximum vertical ability by slowing increasing their workload and then tapering off.